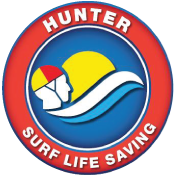 Surf Life Saving Australia (SLSA) has evolved into an organisation known throughout the world for its voluntary humanitarian service. To date it has performed more than 480 000 recorded rescues. Outstanding for its feats of courage and reliable service to the surfing public, SLSA continues to be maintained by members who are justly proud of their motto, 'Vigilance and Service". Active participation in club affairs is, at times, difficult. However, members never fail to reap rewards from their involvement. All members of clubs should consider their obligatory patrol and training duties as a minimum activity, and make every effort to take part in all the general club work, as well as to attend the various club competitions and social functions. Members should see their Bronze Medallion as a basic award and try to gain further qualifications that help them the their club in patrolling their area. As members gain experience and knowledge, they should consider becoming qualified training officers and assessors and becoming involved in the administrative side of their club, branch, state, territory or national body.